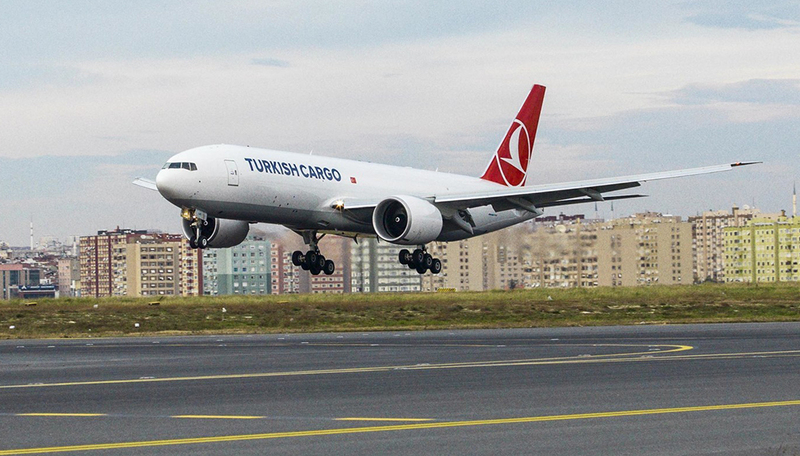 Boeing and Turkish Airlines celebrated the delivery today of the airline’s first 777 Freighter, the world’s longest-range twin-engine freighter. The airplane and the second freighter on order will help the airline expand its cargo business. “The delivery of our first 777 Freighter is a milestone event in our cargo business,” said Mr. İlker Aycı, Chairman of the Board and the Executive Committee, Turkish Airlines. “We are honored to deliver the 777 Freighter to Turkish Airlines,” said Marty Bentrott, Senior Vice President of Sales, Middle East, Turkey, Russia, Central Asia and Africa, Boeing Commercial Airplanes.